Austin helps out around the office in so many different ways. 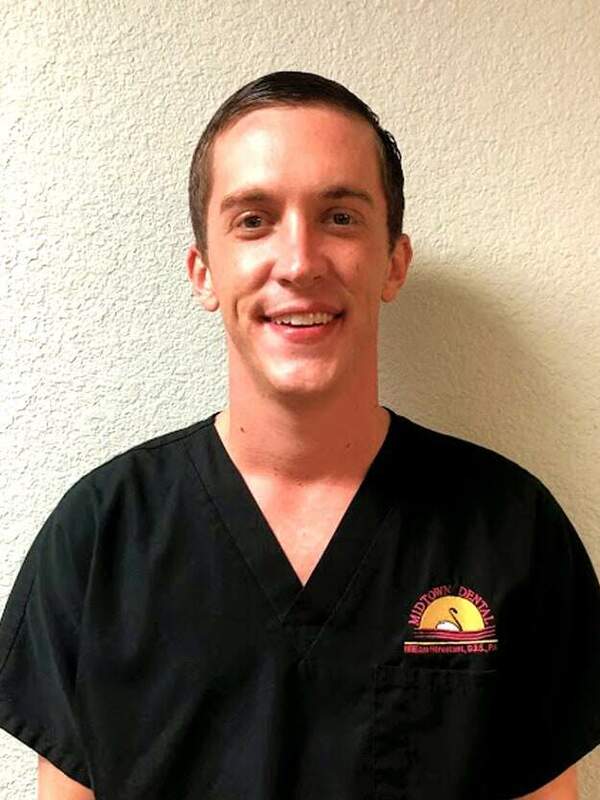 You might see him assisting the doctors with various dental procedures, setting up and breaking down the operatories, helping patient’s coordinate their future dental visits, and working in the lab to ensure precision care for our patients in every way possible. What does Austin love most about the work that he does? He’ll tell you he’s most satisfied by being able to help people from various backgrounds. He said it’s exciting to be a part of the Midtown Dental team because everyone goes out of their way to take extra special care of people, always paying close attention to details with a dedication to cultural diversity. Austin says he chose a career in dentistry because it gives him the opportunity to change someone’s smile and their life. You’ll find that Austin is fun, outgoing, friendly, positive, and compassionate. Outside of the office, Austin volunteers with the Caribbean Community Association, spends quality time with his family, and tries to enjoy life to the fullest.